Massachusetts State Police (MSP) troopers and other first responders were called to the scene following the deadly car accident on Interstate 495. Authorities are not yet sure why the accident occurred, but witnesses say the car was traveling south when the driver appeared to lose control of the vehicle. The vehicle then drove off the roadway and into the median dividing the two directions of traffic. When the vehicle entered the median, it crashed with such force that the driver, and sole occupant of the car, was killed instantly. When first responders arrived, they found the driver to be unresponsive, and he was soon pronounced dead. As is the case of every fatal car accident in Milford, or anywhere else in the Commonwealth, the Massachusetts State Police dispatched their Collision Analysis and Reconstruction Section to investigate the cause of the crash. Authorities had not released the name of the victim, because they were still working to personally notify his family before making public the victim’s name. While many will assume that a single-car accident is the driver’s fault, that is not always the case. 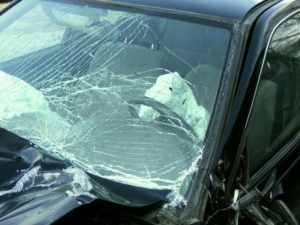 There are a few scenarios in which a single-car accident can be due to another person’s negligence, and that would possibly be the basis for car accident lawsuit. Obviously it is easy to make such a determination when the victim survives and is able to describe what happened, but even in a deadly car accident, an accident reconstruction team may be able to determine whose fault the accident actually is. One way in which this can occur is if another driver is driving in a negligent or reckless manner and causes victim to need to take immediate evasive action, and that evasive action results in a single-vehicle car crash. For example, if you are driving down the highway and another driver takes his eyes off the road to read or send a text massage, that driver may swerve into your lane of travel. To avoid a collision, you may have swerve out of the way, and this may cause you to lose control of your vehicle. You might end up veering off the roadway and crashing into the median while the other driver leaves the scene and many not have even known he caused you to get into an accident. In this case, if you are able to locate the actual at-fault driver either by speaking with witnesses or reviewing security camera footage from street and highway cameras, you may be able to file a car accident lawsuit against that driver directly. If you are not able to find out the identity of the driver who is responsible for your accident, you may be able to file a claim with your own insurance company, known as an uninsured motorist claim.